Vintage Zilog Z80 Timex Sinclair 1000 Computer -Sale & help comments reviews. 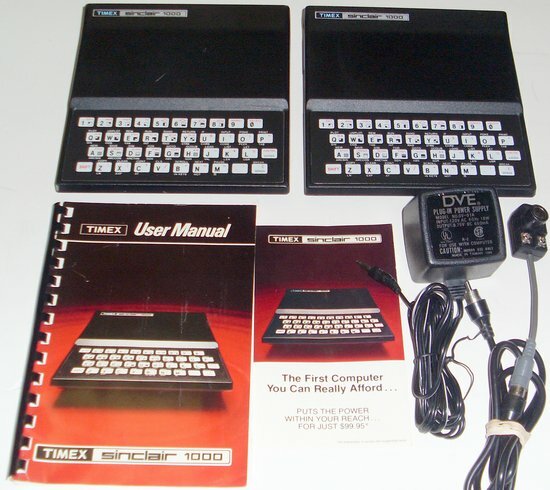 Lot of two Timex Sinclair 1000 computers (Zilog Z80 processor), one does not recognizes any key from the keyboard, the other about half of the keyboard works. The one that recognizes about half of the keyboard, has a problem with the power jack, you have to jiggle it a little in order to work. These timex/sinclair 1000 are offered AS-IS. NOTICE: This Pre-Owned-Recycled vintage zilog z80 timex sinclair 1000 computer was described to the best of our knowledge and it is offered as-is. If the field -Items in Stock- shows zero, the product is no longer available.